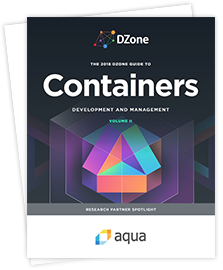 This guide focuses on how containers enable a true multi-cloud experience, improve the developer experience, and what tools exist in the developer ecosystem to more easily manage, monitor, and secure them. Additionally, while containers are quickly becoming ubiquitous, there is still a way to go in how developers manage, maintain, and orchestrate an ever-growing number of container-based deploys. This guide attempts to explore the different options available to developers to help solve these problems.